One of the world’s major players in digital intelligence since 1996, AT Internet helps companies measure their audience and optimise their digital performance across all channels. AT Internet’s expertise extends from collecting raw data to processing it in real time and delivering it for analysis and the sharing of insights. AT Internet counts more than 3,800 customers around the globe, in all industries. With more than 200 employees, the group is present in 32 countries via its customers, subsidiaries and partners. 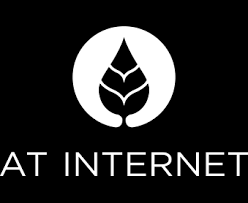 Atinternet offers analytics for both web and mobile. It supports iOS, Android, Windows 8, Windows Phone and Blackberry. It gives real time monitoring of key performance indicators (KPI). The reports include geo-location, m-commerce, integrated segmentation and helps measure ROI on your marketing efforts. You can customize the tool according to your requirements, for example, you can opt for just the mobile analytics instead of a whole package.